Dimensions 0.75 by 4.25 by 7.75 in. The beginning of the hilarious and irreverent series that has more than 80 million copies worldwide, The Color of Magic is where we meet tourist Twoflower and wizard guide Ricewind, and follow them on their always-bizarre journeys. 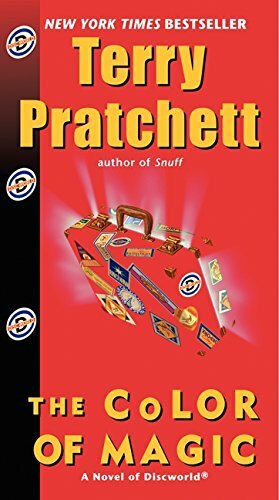 A writer who has been compared to Mark Twain, Kurt Vonnegut, and Douglas Adams, Sir Terry Pratchett has created a complex, yet zany world filled with a host of unforgettable characters who navigate around a profound fantasy universe, complete with its own set of cultures and rules. About: The beginning of the hilarious and irreverent series that has more than 80 million copies worldwide, The Color of Magic is where we meet tourist Twoflower and wizard guide Ricewind, and follow them on their always-bizarre journeys.